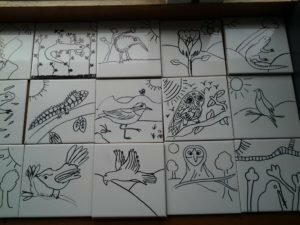 Our tiles are very special. We are going to decorate the Sanctuary fence. Mrs Powell helped us to make our tiles. It was fun working with Room 4 and Mrs Powell. 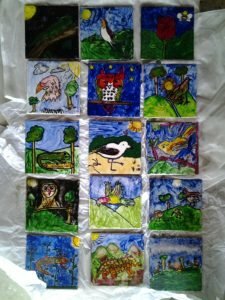 When Mrs Powell was here she said, “We are going to design and paint our tiles.” We were so excited! 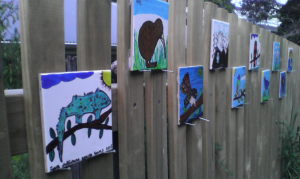 The whole class designed Karori wildlife animals, such as Tuatara, Native Birds, Flowers and Insects. 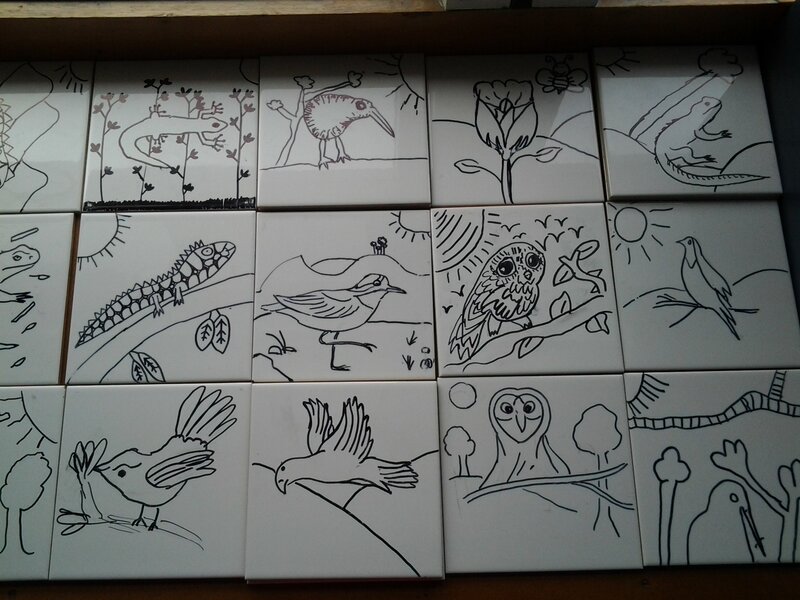 First we designed on paper and then we drew with pencil and sharpie pens onto white porcelain tiles. This first layer was covered with varnish so that we could then paint them. Final varnish coatings were put on to make it more shiny. Tiles are hard because they are made of porcelin. 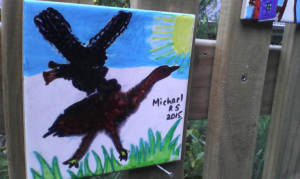 My favourite colour for the background was the sunset and my bird was a shimmering brown. It had light blue eyes like the sky. 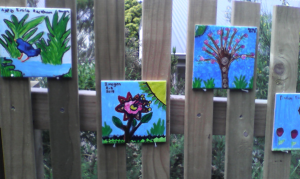 Come and see our Garden Tiles along the Fence. 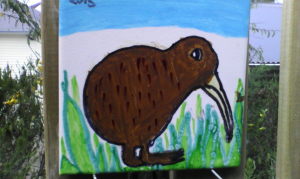 Room 5 made some beautiful tiles too!